When both merchant and issuer are signed on 3D Secure, which means a liability shift process (VBV, Secure Code or Safe Key), the process is as described on the left ilustration. Opening a secured channel, through the merchant site to the customer, sending an sms with a dynamic PIN (or using verification questions or static PIN) and asking the customer to type it into the secured screen in order to verify user identity - is a problematic process. Lot of technical issues arised, increased churn and loosing good frustrated customers is part of the process. 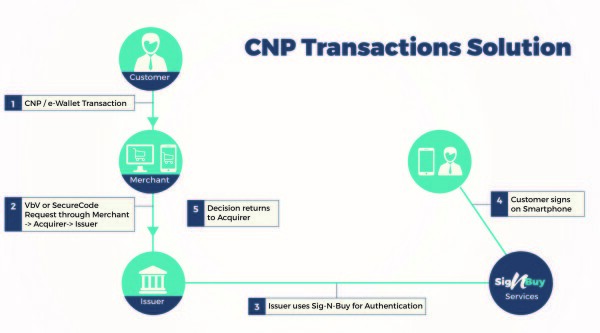 By using Sign'Buy process, the issuer can better verify the customer identity. There's no need to type anything into a secured screen through the merchant site. 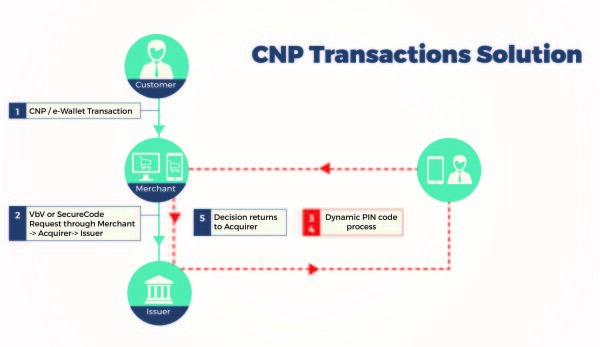 The customer simply sign on his own smatphone touchscreen and Sign'Buy signature verification process provides the issuer a confimation which is sent back to the merchant, through the current process. Implementation involves minor changes in the issuer's process, no change is needed in the acquirer or merchant systems.